Nanna Bendixson created the first Swedish picture book with a continuous text. She was also the first person to review children’s books in Sweden. Nanna Bendixson was born in 1860. She was the daughter of the well-known publicist and politician August Sohlman, who was the editor in chief of Aftonbladet from 1857 to 1874. The cultural celebrities of the time would meet at the Sohlman home, and family friends included the likes of the painter August Malmström and Ellen Key. When Nanna Bendixson was 14 years old her father drowned and this led the family to move from Stockholm to Uppsala. 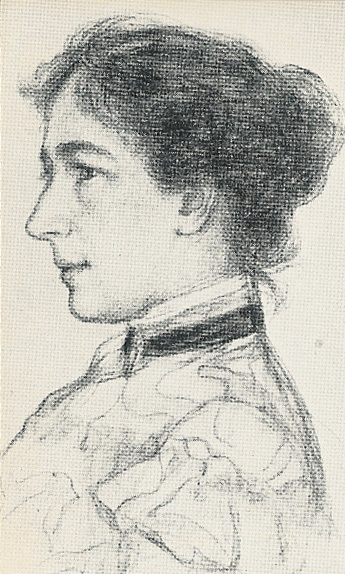 Nanna Bendixson studied at Konstakademien from 1881 to 1883 and then undertook study trips to Italy. She married Artur Bendixson, a pedagogue, in 1883. Most of her artistic output was produced before she got married. Her paintings are mainly small landscape paintings featuring the Stockholm archipelago, Uppsala, and Norrland using pastels, oils, and watercolours. However, she also produced images of children and portraits. Skogstomten, 1886, was her only picture book and it was also unique in the fact that both the drawings and the text were created by the same person. This picture book, about two children who get lost and run into a brownie, is artistically produced. The text comprises short verses whilst the pictures reveal that Nanna Bendixson had a fine eye for the particularities of Swedish nature. Skogstomten is considered to be a precursor of Elsa Beskow’s Tomtebobarnen, 1910. From 1893 onwards Nanna Bendixson reviewed children’s books in Aftonbladet, until her death in 1923. Ulla Bergstrand, who studied her work, highlighted that the reviews Nanna Bendixson wrote were lengthy, with amusing wordings and expert reviews of artistic styles. Nanna Bendixson died in 1923. She is depicted in Hanna Pauli’s painting Vännerna (sometimes simply known as Vänner), 1900-1907. Nanna Bendixson, www.skbl.se/sv/artikel/NannaBendixson, Svenskt kvinnobiografiskt lexikon (article by Helene Ehriander), retrieved 2019-04-22.